As a child, Gabby Hoffman, a senior illustration student at Pennsylvania College of Art & Design, thought of her grandparents as heroes. So when Country Meadows Retirement Communities challenged her senior-level Illustration class at Pennsylvania College of Art & Design to create a character for its book, The Unforgettable Adventures of Grandma’s Cape, featuring a cape-wearing grandmother, the concept resonated with her as did the memory of a family member who had dementia. Client based contest gives Illustration seniors real-world experience. Last semester, in order to breathe life into the book’s characters, the Country Meadows team worked with Bob Hochgertel, Chair of PCA&D's Illustration and Digital Media Departments, to establish a contest for senior illustration students. Country Meadows memory care experts presented the workbook concept to the students during class to help them better understand the expectations. 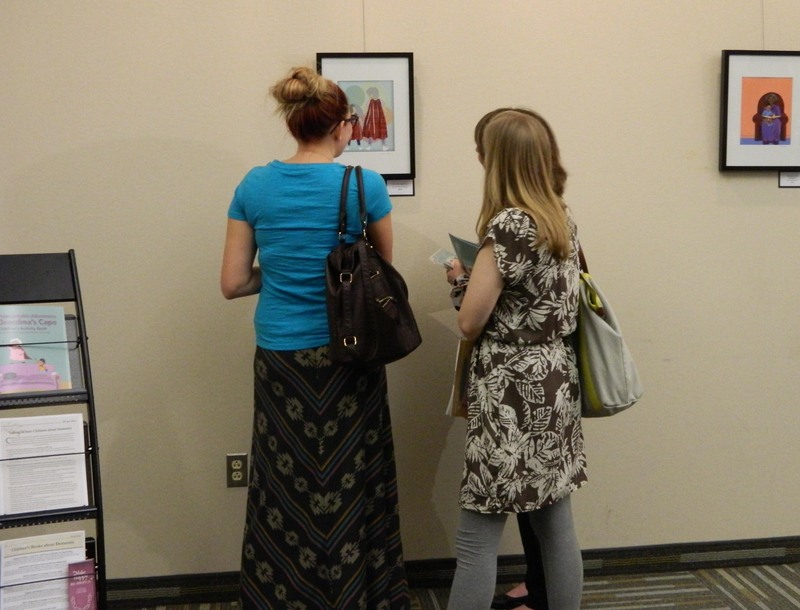 Later in the semester, the group returned and selected the winning illustration from 23 entries. 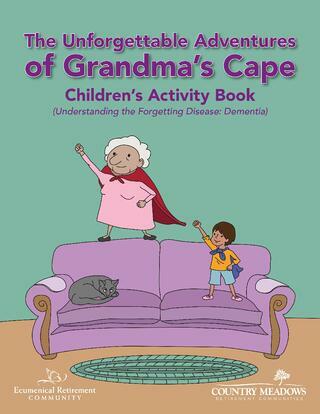 Hoffman’s illustration, with grandma perched on the back of the couch as her grandchild looks on with awe, was selected from 23 submissions for the cover of The Unforgettable Adventures of Grandma’s Cape—an interactive activity book that helps children and their caregivers understand what is happening to loved ones with dementia and how they can continue to connect with them and make them feel loved. A project with an important message. The story, written by Joel Kroft, executive director of Memory Support at Country Meadows, and father of three young children, features an awesome, cape-wearing grandma who makes great chocolate chip cookies and has a zest for adventure. Kroft says the cape is a nod to the superhero quality of grandparents and their contributions to this world. 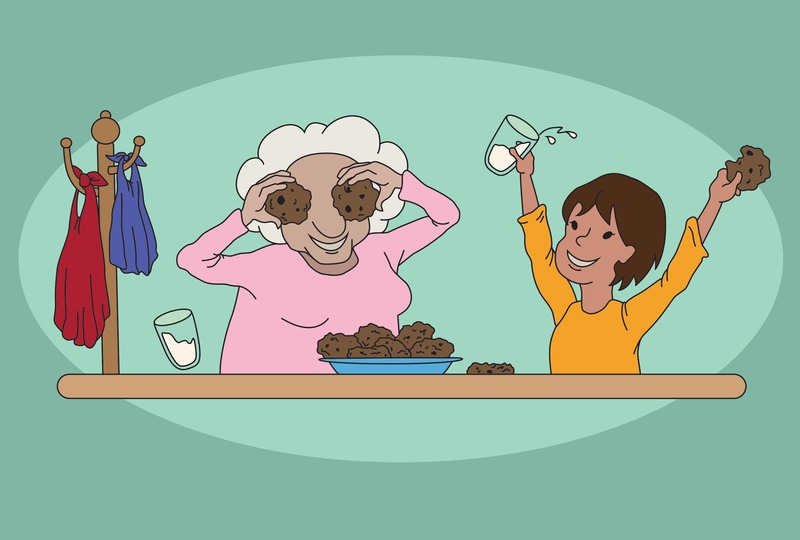 Told from the grandchild’s point of view, the story reveals a sense of awe for grandma as well as what happens when she begins forgetting things. Understanding dementia is difficult at any age and maintaining relationship with loved ones can be even more challenging. “Grandma’s Cape” grew from a planned activity book—a collaborative project between Marketing, Communications and Memory Support at Country Meadows. Kroft thought a story would help children connect to the information. He drew from his own experience with a grandmother who had Alzheimer’s disease as well as hundreds of other grandparents and families he has worked with at Country Meadows during the last 15 years. Reception and exhibition of student artwork. 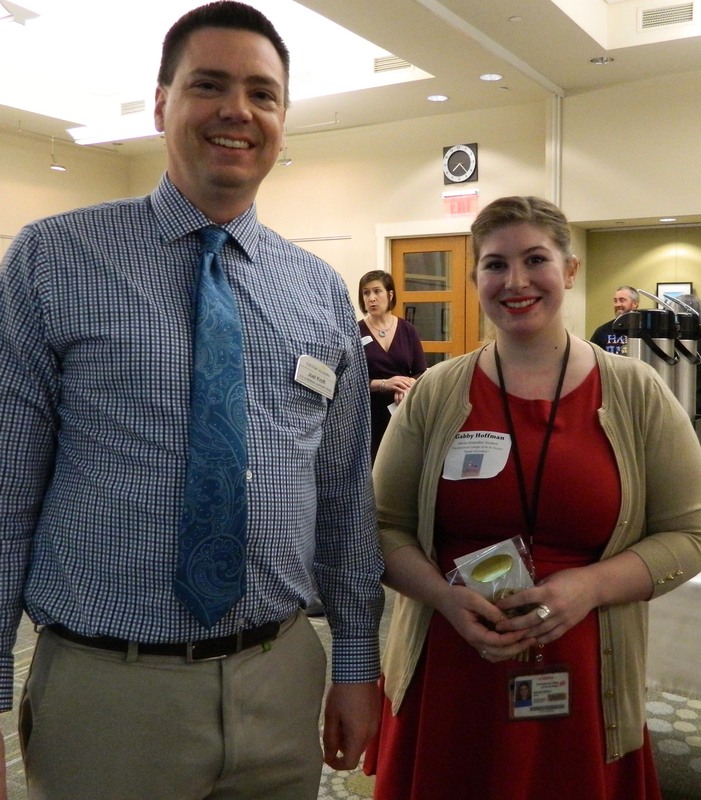 To celebrate the contributions of the PCA&D students, Country Meadows worked with the Manheim Township Public Library to arrange a reception and exhibit of all of the students’ work, all of which illustrates the love and bond between grandparents and grandchildren. Country Meadows plans to take the exhibit on the road to each of its 11 retirement communities. The exhibit will be on display through March 22 at the Manheim Township Public Library, 595 Granite Run Drive, Lancaster, PA 17601. The start to a career in children's book illustration. For Hoffman, the opportunity has given her confidence that she’s chosen the right career goal as a children’s book illustrator. In addition to the cover, her work also appears throughout the book and on activity pages. She is pleased that her school offers opportunities for real world experiences and that this work is in her portfolio as she begins her job search. 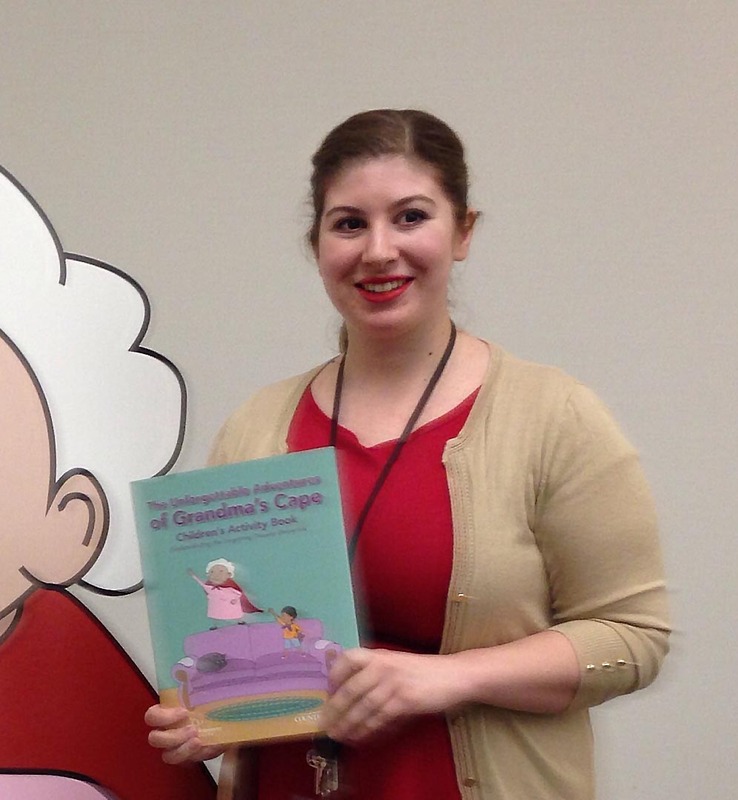 Stop by any Country Meadows campus to pick up a free copy of “Grandma’s Cape” at the front desk. Visit CountryMeadows.com to determine the location nearest you.